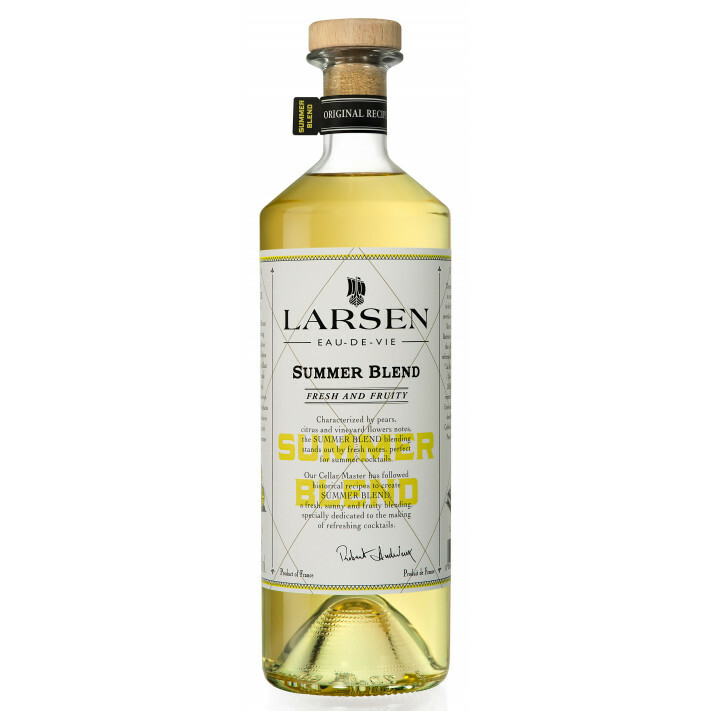 The Larsen Summer Blend is a rather unique concept: Not a cognac but an eau de vie de vin. It's created from a fruity blend of very young eaux-de-vie - each aged for around 6 months in oak barrels. This short aging process is carried out in small oak barrels, and this enhance the aromas, reduces the youthful power, yet allowing the each wine to retain its freshness and intensity. However, what this blend is great for is to use in cocktails or with ice and a mixer to create a cooling summer drink - hence the name, Summer Blend. A versatile and great value bottle to have in your drinks cabinet.